Previously, we examined the reasons why more brands are feeling the need to say they are sorry in a very public and expensive fashion these days. I want to take a minute and dissect one brand’s attempt to offer a “mea culpa” that will resonate with their audience and smooth over the wave of negative public sentiment. Wells Fargo does a lot of good in the communities they serve. In 2016, they donated over 9 million dollars to nonprofits, schools and community organizations in Iowa alone. In that same year, their Iowa-based employees volunteered for over 178,000 hours. But even all of that goodness couldn’t protect them from the flood of media attention they received when it was revealed that some Wells employees were opening accounts for existing customers without their knowledge so the employee could win sales incentives. Wells Fargo was fined $185 million dollars when the regulators uncovered this transgression. Unfortunately, shortly after the first issue was revealed, CEO Tim Sloan had to acknowledge that the company had charged nearly 600,000 customers for auto insurance they didn’t need and a few other fee missteps. It’s easy to see why the public’s confidence in Wells Fargo is a bit shaken and why the financial institution decided they needed to address it. In response to all of the negative news, Wells Fargo launched a new advertising campaign, which is clearly an attempt to turn the tide of public sentiment. We know the value of trust. We were built on it. Back when the country went west for gold, we were the ones who carried it back east. By steam, by horse, by iron horse. Over the years, we built on that trust. We always found the way. But that isn’t where the story ends. It’s where it starts again. With a complete recommitment to you. Fixing what went wrong, making things right and ending product sales goals for branch bankers. So, we can focus on your satisfaction. We’re holding ourselves accountable to find and fix issues proactively. Because earning back your trust is our greatest priority. 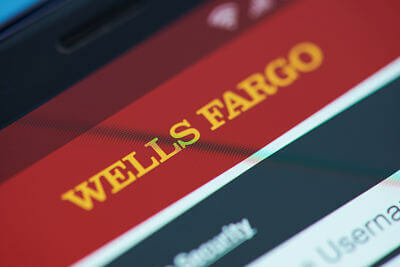 It’s a new day at Wells Fargo, but it’s a lot like our first day. Wells Fargo. Established in 1852. Re-established in 2018. Let’s look at this spot and identify some best practices. First, let’s recognize what they did well. Don’t deny or try to explain anything. No one wants the excuses or “yeah buts.” The spot recognizes that they made some mistakes that cost them the trust of their customers. Define the fix. The public already knows what happened but what they often don’t understand is how you are going to fix the problem, so it never happens again. This spot gets very specific about some of the changes Wells is making as a result of their misstep. We’re sorry. There’s no substitute for those words. The spot acknowledges what they did wrong and that they are going to fix it. You can feel their embarrassment but not their remorse. That’s a big miss. The bigger the institution, the more critical the actual words “we’re sorry” are. Let me vent. When a company you love lets you down, you’re angry and hurt. You also have questions. A big miss in this spot is that they don’t provide a way for consumers to address their concerns. At the end of the spot, there’s a URL, but the contact information provided is about setting an appointment with a local banker. In our 24/7 news environment, more brands of all sizes will have their mistakes exposed and will need to apologize. Doing it well could decide your future, so be mindful of doing it well.